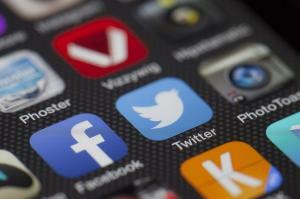 Car dealers are being urged to make the most of social media to boost sales and attract repeat businesses. Using sites such as Facebook, Twitter, LinkedIn and Instagram to stay in touch with customers and win new sales will come under the spotlight at an event run by Automotive Management (AM) Online in the New Year. While social media is, or should be, a key part of dealers’ approach, your actual bricks and mortar premises need to be attractive to customers too. And keeping your motor trade insurance and road risks insurance at a suitable level for your business remains vitally important. However, the digital side of business should not be ignored either. Expert Thomas Power from digital consultancy Electric Dog will be discussing digital marketing for dealerships at the AM Online conference on 3 February. At the event in Coventry, he will take delegates through the processes of forming their own successful business and personal social media strategy to generate leads and close more sales. Mr Power said: "I have bought about 50 cars and I have never once been invited to join a dealership’s online community or been engaged in a meaningful dialogue on its social media platforms. "People want to chat, they like to chat, they don’t need to be told about current offers or even about the products, they want to engage and be engaged. It takes time and effort and is often seen as a task by head office when the best results will be achieved by those who build their community on a local level." Mr Power has worked with electric car maker Tesla Motors to boost its social media presence and develop its relationships in the community. The company now hosts monthly events to network face to face with those it deals with on a digital basis.